Valerie Nieman’s second poetry collection, Hotel Worthy, is being published in March 2015 by Press 53, which also published her debut collection, Wake Wake Wake. She was a 2013-2014 North Carolina Arts Council poetry fellow, and has received an NEA creative writing fellowship as well as major grants in West Virginia and Kentucky. 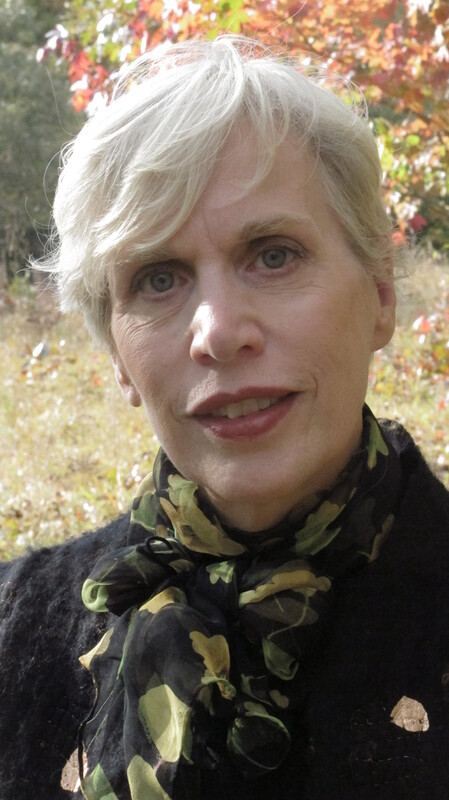 Her awards include the Greg Grummer, Nazim Hikmet, and Byron Herbert Reece poetry prizes. 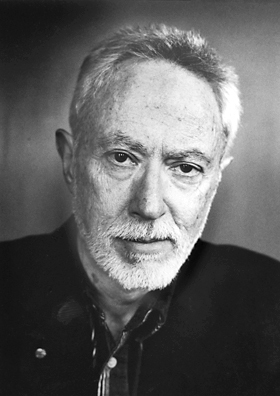 Nieman is the author of three novels: Blood Clay, a novel of the New South, which was honored with the Eric Hoffer Prize in General Fiction; a novel about the Rust Belt of the 1970s, Survivors; and a science fiction title, Neena Gathering, recently reissued as a classic in the post-apocalyptic genre. A fourth book, Backwater, is now in submission, and research for a new novel included a month hiking solo in Scotland. She also has published a collection of short stories, Fidelities. Nieman graduated from West Virginia University and Queens University of Charlotte. A longtime newspaper reporter and editor, she now teaches creative writing at North Carolina A&T State University and at venues ranging from the John C. Campbell Folk School to WriterHouse. She was a founding editor of Kestrel and currently the poetry editor of Prime Number magazine. 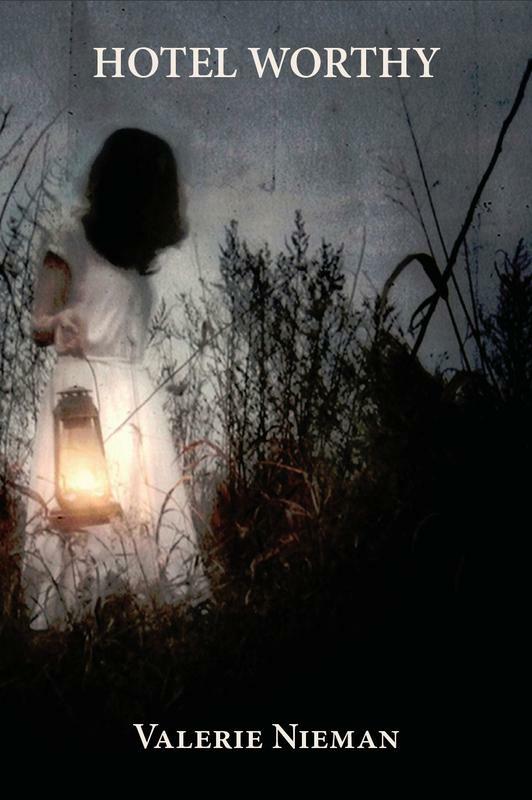 Valerie Nieman: I was a reader, and one thing led to another. Even though we lived in the country and my parents struggled financially, they always found a way to provide me with books. We had a large bookcase full of classics that I read, well before I could understand the characters and plots! The nearest small town had a library, and I kept my card very busy there. I was also encouraged to write by my parents and teachers. My first publications came in the sixth grade. Geosi Gyasi: You’re a novelist, poet, short story writer and travel writer. My question is, which genre of literature do you mostly indulge in? Valerie Nieman: I think of myself as a novelist first, poet second. I have more or less quit writing short stories, and I seldom write nonfiction any longer. I completed revisions on a new novel, “Backwater,” last year, and I am at work on a three-book series of historical fantasy. My new book of poetry, “Hotel Worthy,” is primarily lyric poems, but the next two works-in-progress both have strong narrative arcs. “The Leopard Lady Speaks” is a novel-in-verse about a sideshow performer, while a second book combines nonfiction and poetry from a month spent hiking and wandering in Scotland. Geosi Gyasi: Tell us about your work as a literary magazine editor? Valerie Nieman: I was one of the founding editors of Kestrel: A Journal of Literature and Art in the New World. We were associated with Fairmont State College, now Fairmont State University, in Fairmont, WV. The magazine we started in 1992 continues today, bringing together the best of Appalachia and the world. I’ve kept in touch with Kestrel since leaving West Virginia in 1997, but it wasn’t until 2010 that I became involved in another literary magazine, Prime Number. This journal sprang out of a friendship with Cliff Garstang, a classmate at Queens University of Charlotte, and is supported by our mutual publisher, Press 53. Geosi Gyasi: What influenced your book, “Blood Clay”? Valerie Nieman: As always, a number of things come together to start a novel. First, I was a newcomer to a rural community in North Carolina, trying to adjust to a place with tobacco but without coal. Second, I have been horribly fascinated with dog attacks on people for many, many years – something I finally realized went back to a childhood memory. When dogs attacked and killed a child in the area, things came together and I began the “what if” process that transmutes a disparate collection of truths and half-truths into a cohesive piece of fiction. Valerie Nieman: The effort to find, and keep, a home. I think that is the essential one. I’m also concerned with truth-telling and bringing what is hidden to the light. Valerie Nieman: If it connects with readers, it has achieved its goal. Now, money would be nice, but often that doesn’t happen. To see the words come together between covers, and to have people read my work and sometimes respond – that’s what it is all about. Valerie Nieman: It depends on the book. I write across a wide range of forms and genres. My novels have included science fiction, blue-collar realism, a Southern crime drama, and a coming-of-age crime story, as well as the work in progress, set in early Scotland. Valerie Nieman: Time. Distraction. And laziness. It can be difficult to find the time to write, less now than when I was struggling with a demanding newspaper job and a farm. Now my biggest issues are that I can be easily distracted – I have far too many interests that can pull me away from the keyboard, from hiking to woodworking to kayaking to gardening. And sometimes I am just (mentally) lazy and want to go to a movie. Geosi Gyasi: Where was your short story collection “Fidelities” set and why? Valerie Nieman: Most of the stories were set in rural West Virginia, written after I had graduated from West Virginia University and was working as a journalist and building a small organic farm. Some of the stories were inspired by stories I wrote or people that I met through my newspaper work. Geosi Gyasi: Is it that easy to write poems as compared to short stories? Valerie Nieman: For me, poems are easier than short stories. I seem to be wired to go to one extreme or the other, a one-page poem or a full-length novel. Short stories demand so much in the crafting of character and setting and plot – I want to just keep going. Valerie Nieman: Oh, heavens no! Like most writers, I have always had a day job – first as a reporter, then newspaper editor, and now as a professor of creative writing at North Carolina A&T State University. Geosi Gyasi: The sound of the title of your poetry collection, “Wake Wake Wake” sounds fascinating. Could you say anything about the title? Valerie Nieman: Most of the time. The acceptances are precious and much appreciated. Geosi Gyasi: You’ve won several prizes for your work. Which of the prizes stands out best for you? Valerie Nieman: Each one is special because of the emotional as well as financial support it represents. The National Endowment for the Arts fellowship made me feel that I was truly a literary writer, and allowed me to take a year off from the newspaper to write and research. I am still getting benefits from that year, including the current novel-in-progress that depends on research done during the grant period. The North Carolina Arts Council fellowship made me feel that I was accepted as a writer in my adopted state. It was wonderful to be part of an international event with the Nazim Hikmet Society’s annual awards and gathering, and I learned about an Appalachian writer previously unknown to me when I won the Byron Herbert Reece poetry prize. 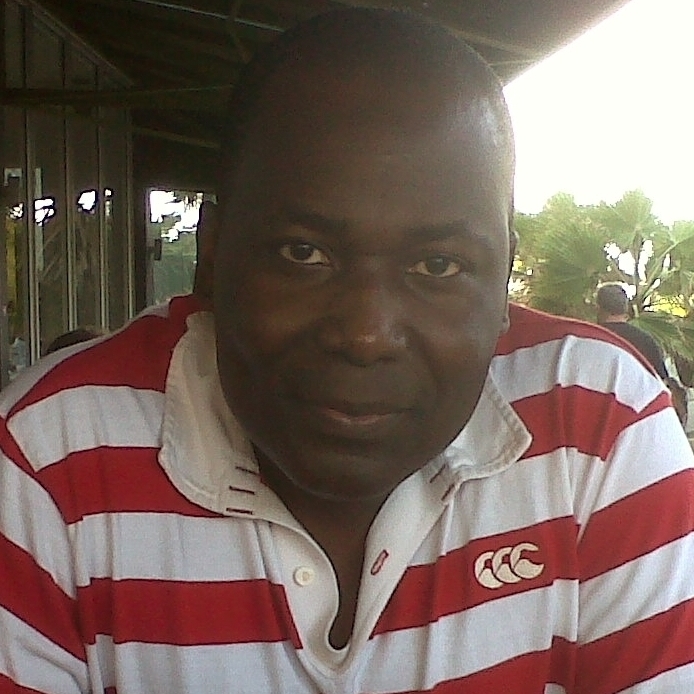 Geosi Gyasi: You worked as a newspaper reporter and editor for more than a quarter-century. Could you tell us if there is/are any similarities between fiction writing and newspaper reporting? Valerie Nieman: Training as a journalist is a wonderful thing for a writer. For one thing, you get over any romantic notions of writer’s block. You learn to get words on paper, somehow. You learn how to research, how to read people, and how to write clearly and concisely. Geosi Gyasi: Whom do you look up to for inspiration to write? Valerie Nieman: I have a whole cadre of writing friends who keep me focused and keep me encouraged. We have each others’ backs, even over long distances and long separations. I am in a poetry workshop with two wonderful poets, Sarah Lindsay and Mark Smith-Soto, and several people read “Backwater” in a series of drafts, their suggestions making it better each time. My father and my late mother, of course, for constant love and inspiration and support. Geosi Gyasi: Could you name some of your favorite writers? Valerie Nieman: This is the toughest question for me! My house and office are both filled with books, and I read across such a wide range of styles and forms. I will say that my earliest influences included Lewis Carroll and Shakespeare (in the prose version by Lamb) and Tennyson. I found science fiction as a young teenager and fell deeply in love with Ursula LeGuin, Ray Bradbury, Frank Herbert, Harlan Ellison and others. Also along the way, Poe, Hardy, Frost, London, Yeats. Too many contemporary poets to name. I am a Margaret Atwood fan (and looking forward to hearing her speak in March). Most recently, I have delighted in the novels of Jose Saramargo. Geosi Gyasi: Do you mind telling us anything about your new book coming out in March? Valerie Nieman: “Hotel Worthy” is my second poetry collection, representing poems written between 2004 and 2014. The poems range widely in subject matter and setting, from the cold winter nights of western New York State and the hills of West Virginia to the shores of North Carolina, even the painted caves of the Perigord. I characterize them as poems of love, loss, and survival. One thing that quickly became evident as we were preparing the book – my lines have gotten longer. Much longer. The publisher used a larger format, but I still had to trim and adjust some poems in order to fit them to the page. Geosi Gyasi: You’re on the faculty at the North Carolina A&T State University. Could you share with us what you teach and how you combine teaching and writing? Valerie Nieman: I think the best thing I can bring to my undergraduate creative writing classes is my enthusiasm. I hope that I can show them a thing or two, but writing will be as it always is, a solo pursuit; you have to believe in yourself and take joy in the process. I am incredibly fortunate to be able to teach creative writing, and to be surrounded by bright young minds sparking up stories and poems. And they teach me a great deal – A&T is an HBCU, a historically black college or university, celebrating its 125th anniversary beginning this year. Aggie Pride! Geosi Gyasi: Could you tell us anything about your book, “Neena Gathering”? Valerie Nieman: “Neena Gathering” was my firstborn, a novel set in West Virginia after civil wars have torn the nation apart. I drew heavily on the places I saw around me then, as a hill farmer in the northern part of the state. The book came out in 1988 as a paperback original, and was doing well – though a Brazilian edition was produced, I never saw a copy of “Mundo Perdido” – but my publisher was swallowed by an even larger one and the entire paperback line was terminated. There is a second act, however. A couple of years ago, Permuted Press contacted me about reissuing the book as a “classic in the post-apocalyptic genre.” They did a beautiful job with a new cover on a trade paperback edition, as well as a Kindle book and an audiobook. This entry was posted on Thursday, February 26th, 2015 at 7:26 pm and is filed under Uncategorized. You can follow any responses to this entry through the RSS 2.0 feed. You can leave a response, or trackback from your own site.